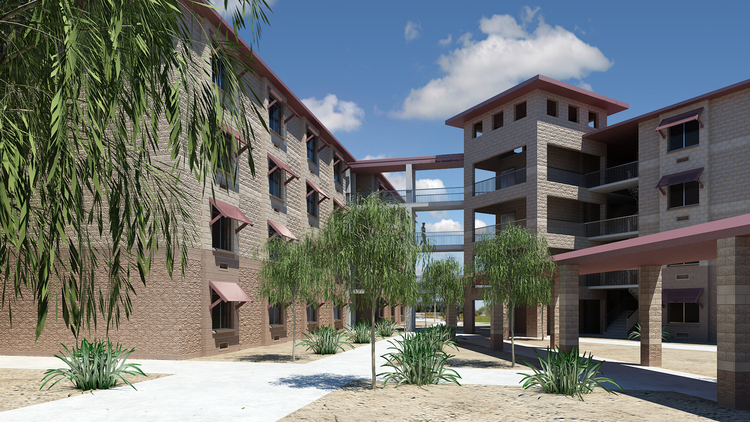 This design-build project consists of four, four-story BEQ’s consisting of two-person living units in the Marine Corps standard 2+0 configuration with kitchenettes, storage closets and private bathrooms for a total of 692 modules. Design consists of upgrades and renovations of three existing buildings for administrative offices and Base Security offices. Each BEQ’s main focal point is the Community Building which provides a reception lobby area with lounges, multi-purpose rooms, game rooms, vending areas, internet café, laundry facilities, basketball and volleyball courts, exercise training course, parking area and outdoor covered BBQ areas. 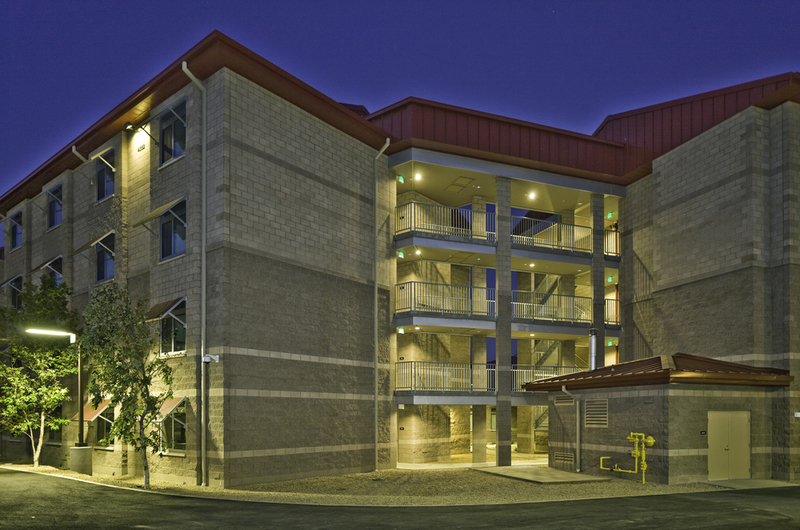 The building structures are reinforced concrete masonry units (CMU) with integral color enhanced CMU exterior walls and sloping standing seam metal roof systems. Supporting facilities include community rooms, amphitheaters, outdoors sports and activity areas and parking areas. Each BEQ’s main focal point is the community building which provides a reception lobby area with lounges, multi-purpose rooms, game rooms, internet cafes, laundry facilities, basketball and volleyball courts, exercise training course, parking area and outdoor covered BBQ areas. In addition, maintenance shops and dormitories were demolished.